About 50 responders from various agencies are gathered at the region’s command center. They’re running through scenarios that focus on pediatric triage, mass sheltering and how to allocate scarce resources when catastrophe strikes. This is the first time a training in Washoe focused solely on children. Brittany Dayton coordinates emergency management for the Washoe County Health District. “Since October 1 happened down in Vegas, we want to prepare for all hazards,” Dayton said. Nevada became home to the deadliest mass shooting in modern history in 2017 when a gunman opened fire at the Route 91 Harvest Music Festival in Las Vegas. 58 people were killed and several hundred were injured. During large-scale emergencies, first responders are trained to treat adults. 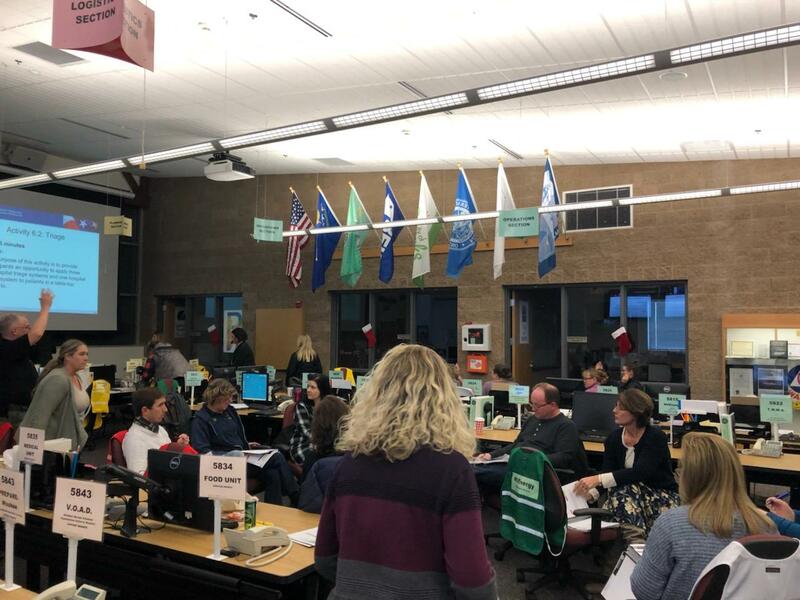 The Regional Dispatch and Emergency Operations Center in Washoe County. Federal research shows gaps in the care of children. Minors make up about a quarter of Washoe’s population, so roughly around 100,000. Aside from providing medical treatment, emergency workers also grapple with other issues. Gregg Lord is the instructor for this training session, and he's using a FEMA-based curriculum funded by the Department of Homeland Security. The Centers for Disease Control and Prevention is reporting nearly 40,000 gun deaths nationwide in 2017. That’s the highest rate in 40 years. And in Nevada, the rate is even higher. That’s why Lord travels the country to prep communities for dire scenarios, including mass shootings, which can happen anywhere. To save more lives, Lord says it’s become essential to empower everyday people to help gunshot victims from bleeding out. Emergency responders in Northern Nevada receiving training on how to care for children during disasters. A national campaign called Stop the Bleed trains bystanders to help injured victims. They learn skills like how to tie a tourniquet while waiting for help. 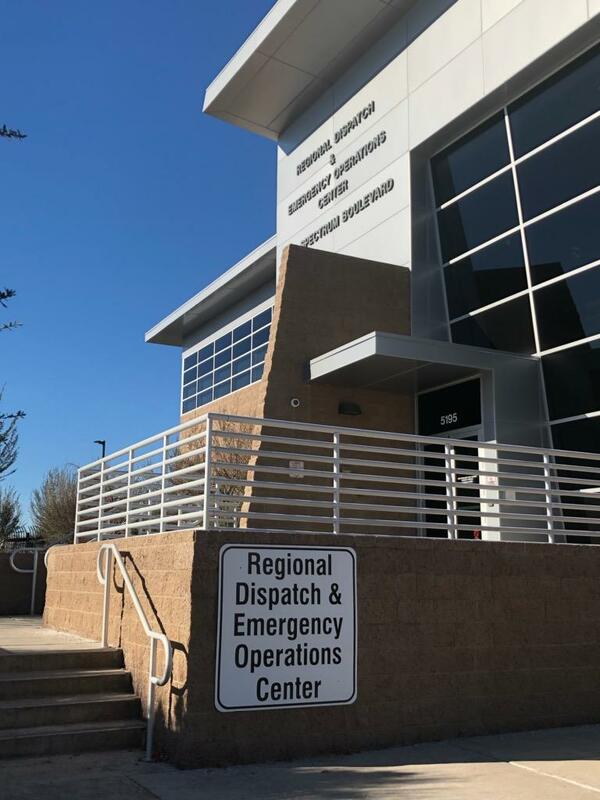 The Regional Emergency Medical Services Authority—or REMSA—is an ambulance service provider in Northern Nevada that hosts community-wide trainings several times a year. But it’s not just mass shootings that participant Dr. Kristina Deeter is concerned about. She’s the medical director of Renown Children’s Hospital Pediatric Intensive Care Unit, and she’s seeing more unintentional gun injuries. Since gun violence often affects communities on a larger scale as well, Washoe County Emergency Manager Aaron Kenneston must prepare for mass-casualties. Regardless of how many trainings and drills there are, Kenneston says a community can never be 100 percent ready. The school-based active shooter exercise Kenneston mentioned is slated to take place later this year. A recent report found that nearly 9 percent of Nevadans shopping online for a gun from an unlicensed seller—a process that doesn’t require a background check—are actually prohibited from owning one. Reno Public Radio’s Noah Glick reports. According to a recent report from Everytown for Gun Safety, a group working to end gun violence, unlicensed gun sellers in Nevada are posting nearly 36,000 unique ads on just four websites every year. Hundreds of students gathered at the University of Nevada, Reno last night for a vigil. It was held in honor of those hurt or killed in Las Vegas Sunday, and our reporter Jacob Solis has the story. The night started with music performed by students, and its melodies set the tone for an hour filled with grief, sadness, and hope. About one-fifth of UNR’s students come from Southern Nevada, which means the campus community has been hit particularly hard.